BALTIMORE (CNS) — Members of the National Review Board see their work as one way to continue challenging the U.S. bishops “not to back down” from efforts to improve accountability in responding to clergy sexual abuse, said board chairman Francesco Cesareo. “This is a moment of opportunity and it is not a moment to be wasted. If we don’t get it right this time we may not get a third chance to really grapple with this issue,” Cesareo told Catholic News Service after delivering a report from the board Nov. 13 during the U.S. Conference of Catholic Bishops’ fall general assembly in Baltimore. The report offered a series of recommendations, including a call to review diocesan and seminary files, archives and clergy personnel records dating to at least 1950 and to make the findings public when possible. It also backed the USCCB proposals for a code of conduct for bishops and the formation of a special commission for reviewing complaints against bishops for violating the standards. Cesareo expressed regret that the USCCB would not be voting on the proposals during the fall assembly as originally planned. On the eve of the fall assembly, the Vatican Congregation for Bishops asked the USCCB to not take a vote on the protocols until the presidents of the bishops’ conferences around the world meet in Rome in February. “Specifically, current events reveal a continued lack of transparency about past cases of abuse and the way they were handled, as well as a lack of accountability for bishops,” he said. Cesareo cited media reports and the August Pennsylvania grand jury report that revealed how some bishops have not been “sufficiently open and transparent” about abuse by clergy and church workers occurring in their dioceses since the 1940s. “Today, the faithful and the clergy do not trust many of you. They are angry and frustrated, no longer satisfied with words and even with prayer. They seek action that signals a cultural change from the leadership of the church. Their distrust will remain until you truly embrace the principles of openness and transparency listed in the charter,” the president of Assumption College told the bishops. “There cannot be reconciliation without full acknowledgement of the truth,” he said. The NRB chairman said full accountability for bishops requires steps to investigate allegations involving prelates and ensuring consequences for bishops who have not protected children and vulnerable adults. He cited a Nov. 4 report by The Boston Globe and The Philadelphia Inquirer that outlined that bishops have been unable to police themselves when it comes to responding to abuse reports. “At present, the NRB is unaware of any mechanism that has been utilized by the USCCB to hold culpable bishops accountable for their past action or inaction,” Cesareo said. He said possible actions the USCCB could take would be barring guilty bishops from conference membership or attendance at national meetings. “The NRB is also unaware of any sense of meaningful fraternal correction among U.S. bishops regarding matters of abuse. The NRB calls for a revision of the Statement of Episcopal Commitment (that accompanies the charter) to include a concrete approach to fraternal correction,” he said. The report also called for the charges made by Archbishop Carlo Maria Vigano, former papal nuncio to the U.S., regarding reports of abuse allegedly committed by Archbishop Theodore E. McCarrick to be thoroughly investigated by the bishops’ conference. The board also supported the USCCB call for a full investigation of Archbishop McCarrick’s behavior, he said. Archbishop Vigano claimed in August that that Pope Francis had known for years about Archbishop McCarrick’s behavior and had done nothing about it until last summer when accusations were made about him sexually abusing boys decades ago. The archbishop, who resigned from the College of Cardinals in July, denies the claims of sexual misconduct. The report urged a thorough review of the charter and revisions in the annual audits of dioceses that measure charter compliance. After Cesareo’s presentation, bishops discussed it with him for nearly an hour, asking about the recommendations and offering suggestions to fellow bishops how they have been able to implement some aspects of the report in their diocese. 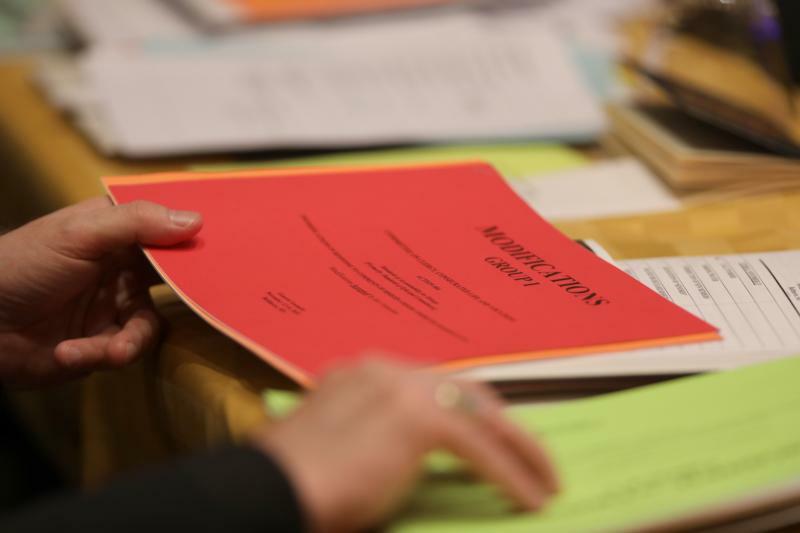 Several bishops agreed that the audit process could be improved and that they must cooperate with law enforcement investigations into how abuse was handled in dioceses.